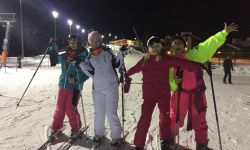 Nacel's student exchange programs in Russia offer a great opportunity to live with a host family and study in a local high school. Like just another Russian teenager! 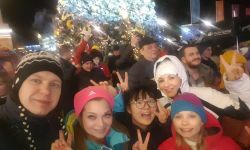 If you have an intermediate level of Russian and want to improve it as much as you can, come and participate in this program. Live an unforgettable experience and discover the educational system of the largest country in the world. 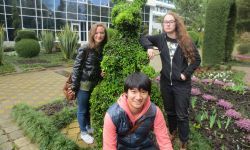 What should I expect from this High school exchange in Russia? The student will be able to study in Russia for a maximum of 90 days. Placements are organized in the European part of Russia. Students will live with Russian host families who will welcome them as if they were a new member of the family. You will benefit from a 50-hour Russian course at the beginning of the program. This will help you to adapt comfortably in the country. 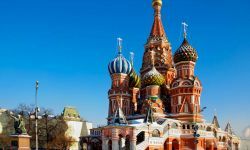 As soon as you arrive in Moscow, you will attend a two-day orientation session by a local coordinator who will provide you with assistance and support throughout your stay. This orientation will allow you to visit the capital and learn more about Russia and the rules of the program. 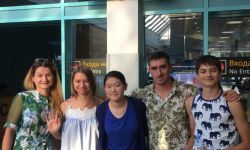 International students from all over the world study in Russia to immerse themselves in the Russian way of life and to become fluent in the language. Sign up for this authentic exchange program in Russia with Nacel! School starts in September and ends in June.